Five songs have been released prior to the full album, with videos accompanying three of them. Year of the Snitch features contributions from Lucas Abela, Andrew Adamson, Justin Chancellor and DJ Swamp. I posted these albums on twitter and it seems some people would like to see them as a complete list. 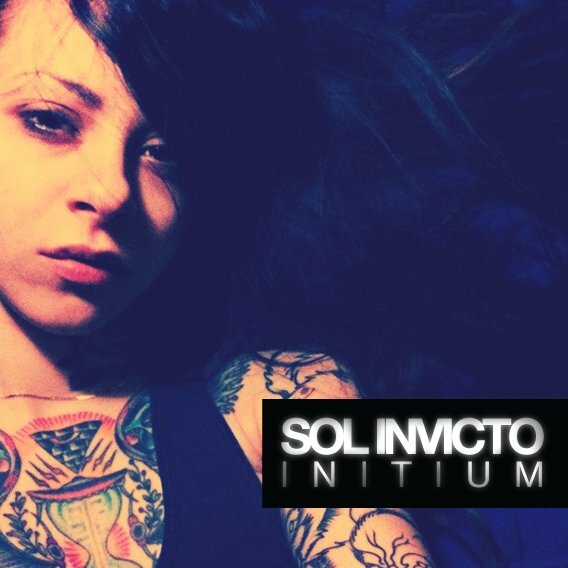 Sol Invicto, a project established by Richie Londres and Stephen Carpenter, will release their first physical material since they began in 2007. INITIUM is a compilation of their three volume Initium series. The first volume, released as a digital EP in 2011, features Zach on drums. INITIUM will be available as a double vinyl set limited to 300 copies via Tech Itch Recordings. Read more at their official site. Death Grips and Ministry have announced dates for a co-headline tour throughout the united states in october and november of 2017. 11/11/17 Dallas, TX at Gas Monkey Live! Bodyguard, the third album by The I.L.Y's, has been released on limited edition Krang Smudge vinyl, black vinyl and compact disc. All three are released via Castle Face Records and are the first physical items from The I.L.Y's. 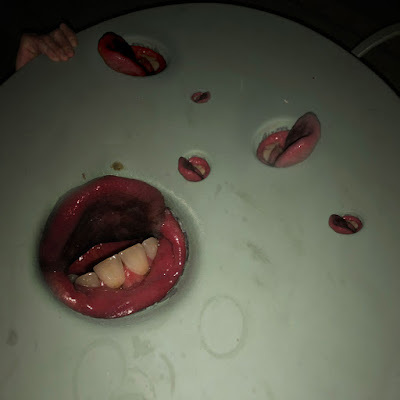 Death Grips - "Steroids (Crouching Tiger Hidden Gabber Megamix)"
we're working on the new death grips album. Massive thanks to reddit user cnacker for discovering this!! 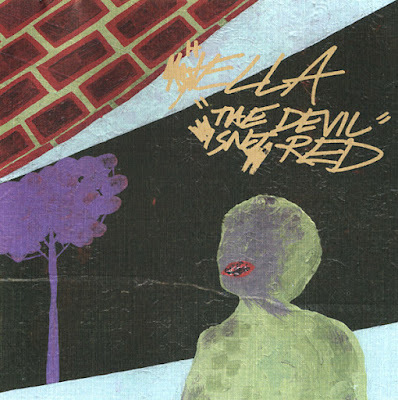 Hella's second full length album, The Devil Isn't Red, was released in 2004. Thirteen years later, a hidden song has been revealed. There is a demo version of "Your DJ Children", from Total Bugs Bunny on Wild Bass, contained within the pre-gap information of "Hello Great Architect of the Universe" from The Devil Isn't Red. To hear this demo, rewind the first song on the CD or extract it from the CD to your computer. This requires a program such as Exact Audio Copy. After setting it up, rip the first song. If your cd drive was unable to automatically obtain the hidden demo, there is a step-by-step tutorial on how to change the settings to find it. One hour ago, the I.L.Y's released a new song, "I Love You Man" and announced more details for their third album, Bodyguard. The album will initially have a digital release on 05/16/17, then released physically on 06/16/17 via Castle Face Records. Deerhoof is the Joyful Noise Recordings Artist in Residence for 2017. They are releasing a box set full of new music by Deerhoof and their related side projects on limited edition vinyl. The first installment will consist of two split LPs, including the long lost Nervous Cop EP. 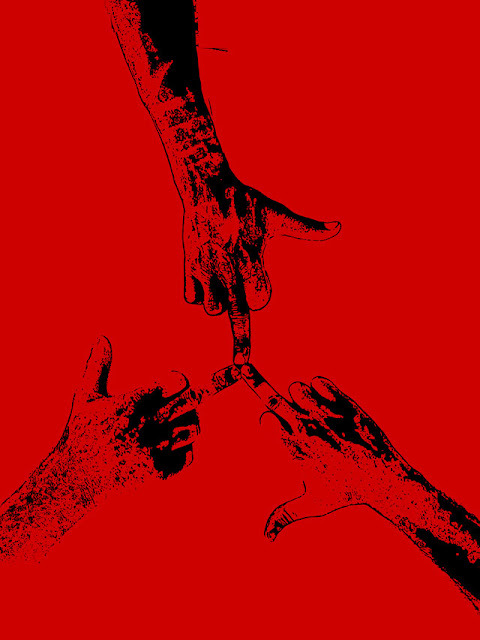 This was recorded approximately eight years ago at A2B2 and features all members of Deerhoof performing with Zach Hill and Andy Morin. The first Nervous Cop album, Nervous Cop, was released on CD by 5 Rue Christine on 11/04/03. Zach Hill and Greg Saunier played drums, with guests Johanna Newsom on classical harp and John Dieterich on electronics. This new Nervous Cop release will represent the earliest known collaboration between Zach Hill and Andy Morin. Approximately sixteen minutes ago, Andy Morin posted a link to the new website for The I.L.Y's. The homepage includes an embedded video called "I Didn't Think You Would Know", along with information about the band and links to various new social media accounts.